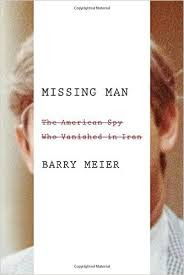 Veteran journalist and author Joseph C. Goulden offers a good review in the Washington Times of Barry Meier's Missing Man: The American Spy Who Vanished in Iran. The American public — especially the media — tends to demand, “Who’s to blame?” when a person vanishes in a foreign land with no explanation as to why, or whether, he is being held. Such is the case with Robert Levinson, former FBI agent, private investigator and CIA contractor, who was snatched by unknown parties on the Iranian-owned island of Kish in 2013. Suspicion immediately pointed to Iranian security officers. As a private investigator, Mr. Levinson was traveling under an assumed name, ostensibly trying to track sellers of counterfeit cigarettes on behalf of a client, British American Tobacco. But he also had a sub rosa purpose. On his own initiative, he hoped to recruit as a CIA informant, a man who was born as Teddy Belfield, converted to Islam while a student at Howard University, and took the name Dawud Salahuddin. In 1980, on behalf of anti-Shah Iranian radicals, Salahuddin posed as a postal carrier and shot dead a spokesman for the Iranian embassy in Washington at his Bethesda home. Salahuddin fled to Iran, but soon tired of the mullahs’ government. He told investigators and journalists who were friends with Mr. Levinsonthan he had “secrets of enormous value to U.S. intelligence” because of his access to officials in the regime. Mr. Levinson seized what he saw as an opportunity to tighten his relationship with the CIA. Iran finally acknowledged it was holding Mr. Levinson in 2011 in an attempt to escape sanctions for its nuclear program.